With over twenty years experience, I direct and run NSM Training & Consultancy which provides training courses and consultancy for schools and parents. From my experience, I have developed a reputation for successfully managing the most challenging classes/students and motivating/inspiring staff to help implement changes. This experience extends across early years, primary and secondary in both mainstream and special needs schools. I am an inspirational speaker and educational consultant, speaking at key conferences on mindsets, behaviour change and effective ways of engaging families. I also speaker for the National Education Show and NASUWT Teachers’ Union conferences and BBC Radio. I am also an International Values Education (IVET) approved trainer and an NLP Master Practitioner. I have also published numerous books and articles on these subjects. I am a strong advocate of growth mindset, having taught myself front crawl at age 37 before making my first English Channel solo attempt in August 2017. Unfortunately, after being caught in a relentless current, I was pulled out after 14 and 1/2 hours, only a few miles from the French coast. I am now re-training to swim the Channel again in July 2019 to support and promote the meaning of resilience and bouncing back from ‘failure’ in order to inspire children, young people and adults to achieve their goals. 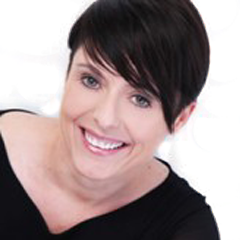 Specialties: Behaviour Change, Behaviour Management, Family Engagement, Mindset & Resilience Consultant/Trainer, Face-to-Face and Online, Inspirational Speaker, Author & Endurance Swimmer. – I’m Stressed Get Me Out Of Here!